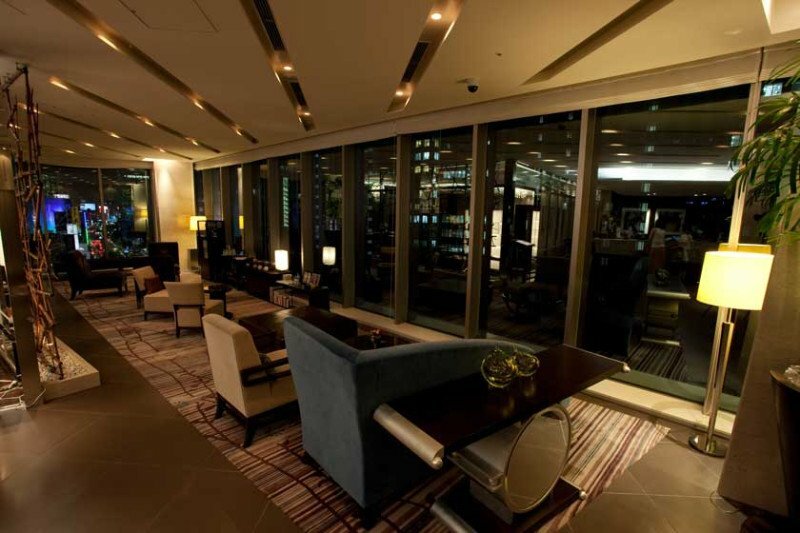 Hotel Ryumeikan Tokyo showcases a restaurant, Hanagoyomi, featuring Japanese food that is served with sweeping views of Tokyo. 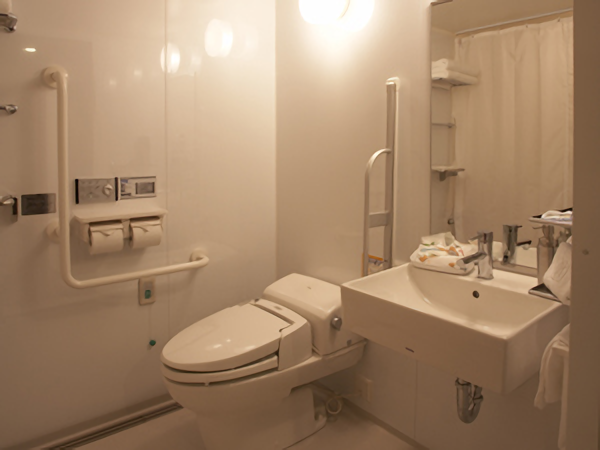 The rooms feature extra-long beds and have a flat-screen TV, an air purification/humidifier, and a computer can be rented for in-room use. 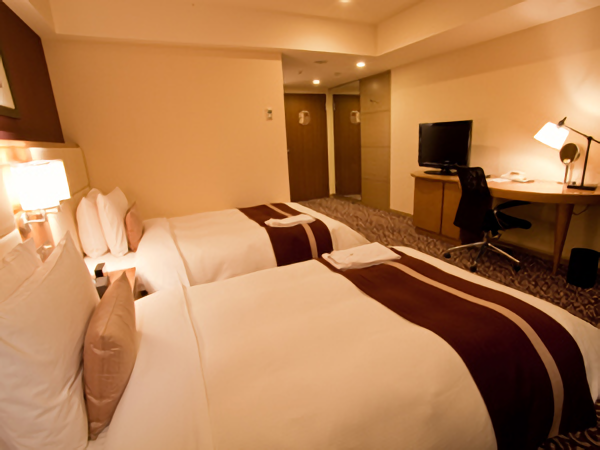 Hotel Ryumeikan Tokyo provides mobile phone rentals, quick laundry service, and travel information. 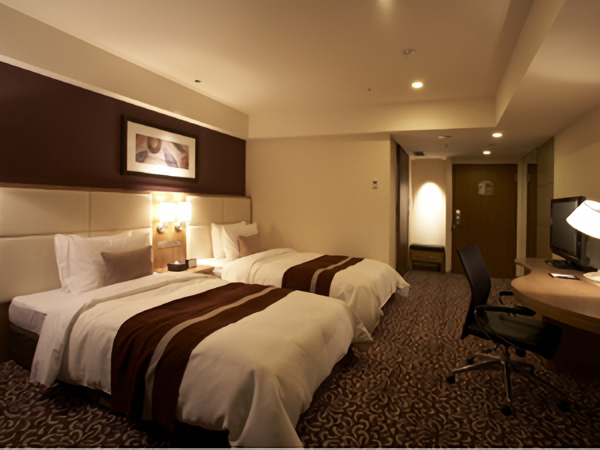 Ryumeikan Tokyo is a 5-minute walk from Nihombashi subway station, and a 10-minute train ride from shopping districts Akihabara and Ginza. 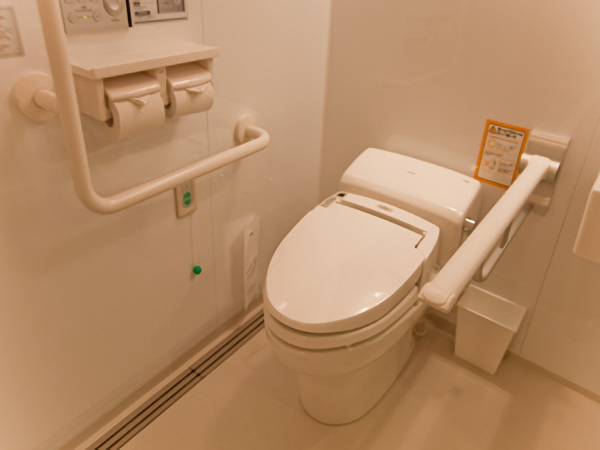 Hotel Ryumeikan Tokyo’s Universal Room is designed for guests with disabilities, or elderly guests. 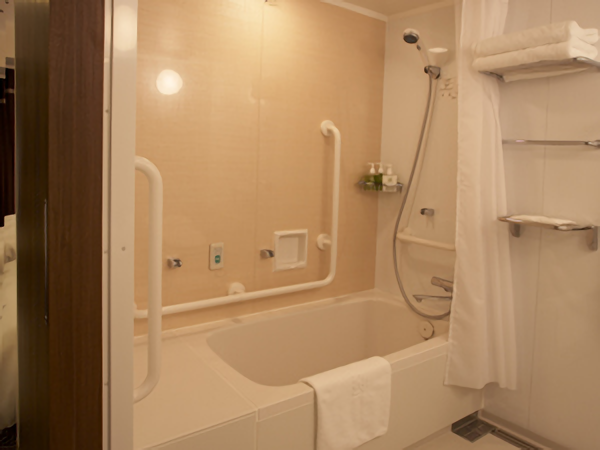 The bath and toilet area have handrails and have space to move around. 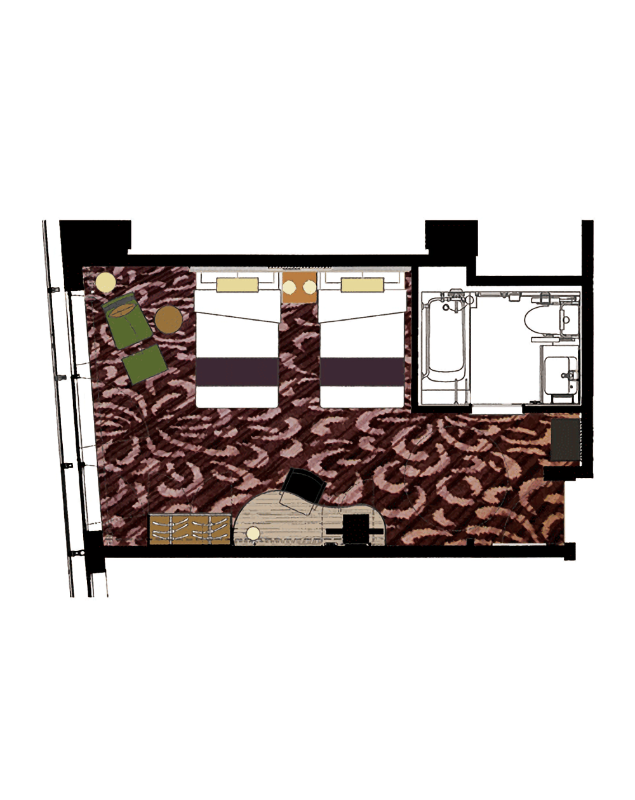 While the height of the bed in the room is relatively lower than the other rooms, the designs are all the same throughout the hotel. 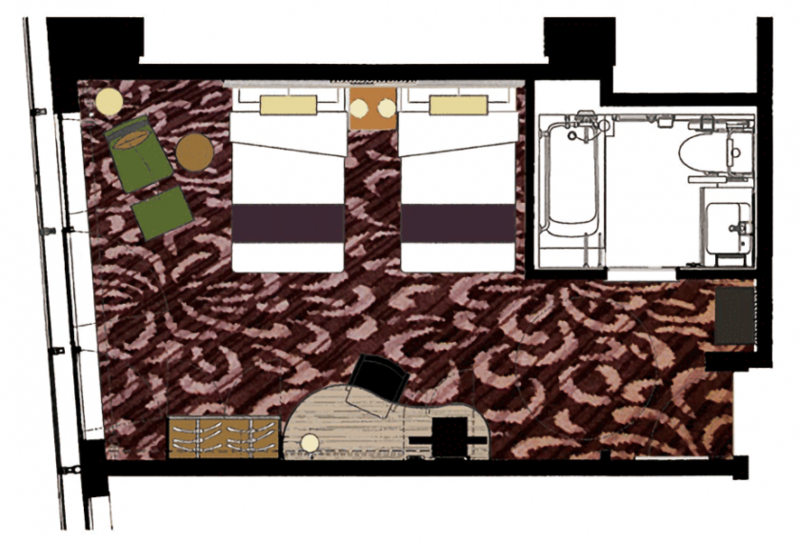 The universal room is a non-smoking room. 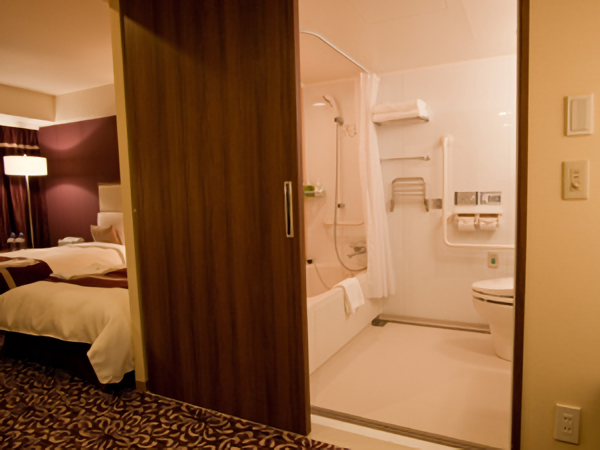 The room is equipped with: refrigerator (25L), safety box, deodorant spray, hair dryer, hand Soap, free LAN line & LAN cable, free Wi-fi connection, desk mirror, mineral water, green tea & black tea, kettle, ice bucket, hanger stand, origami(paper folding), slippers, air purification system with humidifier, and a Nespresso machine. For more pictures, please click the Photo tab above. 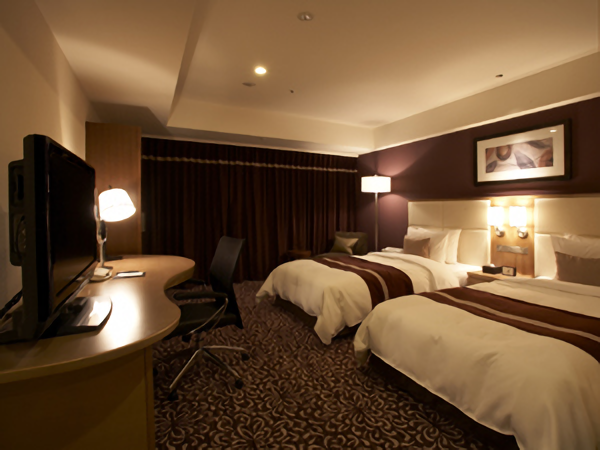 The hotel’s website features a 360° panorama view of the room – click here.